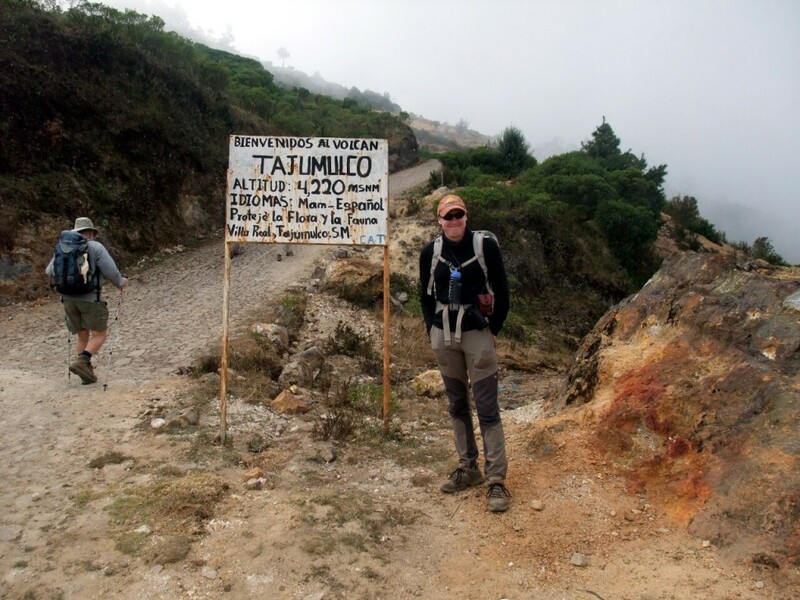 The start of the trail up the highest mountain in Central America is not a very salubrious looking place, at least it wasn’t when I arrived there in a dull grey mist. A run-down convenience store sat beside a handful of grubby looking houses, and a billboard at a nearby road junction advertised the local politicians, one of whom looked like a brothel madame, and another who looked like a Mexican bandito. A narrow cobbled track led up into the clouds, and at the bottom was a hand painted sign indicating the start of the trail up Volcán Tajumulco. A welcome note had been splashed onto a metal board by somebody who obviously wasn’t a professional sign painter, but in reality the place felt about as welcoming as a night club bouncer eyeing up a man in sandals. I thought my ascent of the highest mountain in Central America, an extinct 4220m volcano in Guatemala called Volcán Tajumulco, was going to be little more than a tick in the box, especially when it started along a grubby dirt track that threw up dust like a walrus emptying a Dyson vacuum cleaner. But things got better, a lot better. I’ve just finished typing up my diaries from the ascent, and I always enjoy re-reading them several months later, in this case almost a year later. Tajumulco is a stiff day walk rather than a climb, which you may think would make it one of the less interesting mountains I’ve been up, but this was far from being the case. It was a great summit, one of those days when you have to remember where you are and enjoy the moment, and my enthusiasm definitely came through in my diary, which I scribbled down on paper after I descended. Above the dirt track the walk became much more enjoyable, passing through sparse stands of pine trees on soft grass. 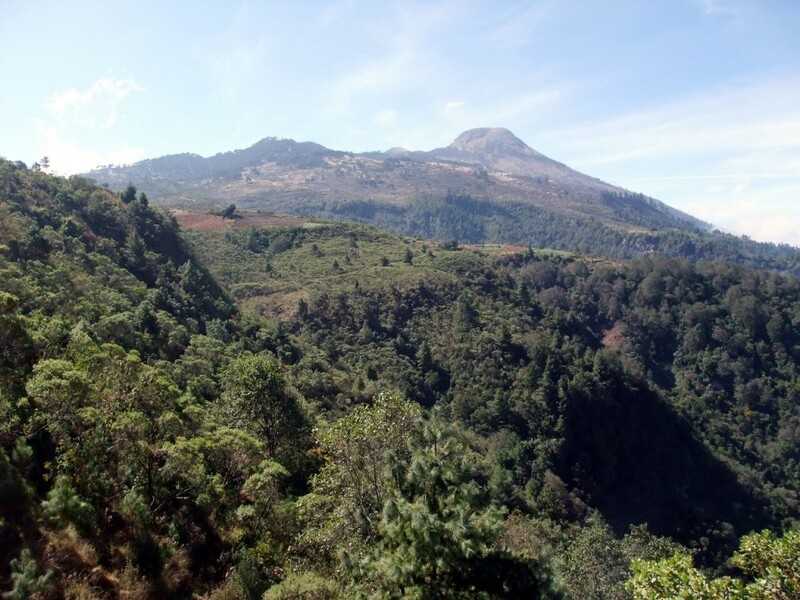 Three times it emerged from the trees and traversed across the side of the mountain, offering great views of the open landscape at the western end of Guatemala. 4063m Volcán Tacaná sat prominently on the horizon a short distance away, one of four active volcanoes in the country and its second highest mountain. 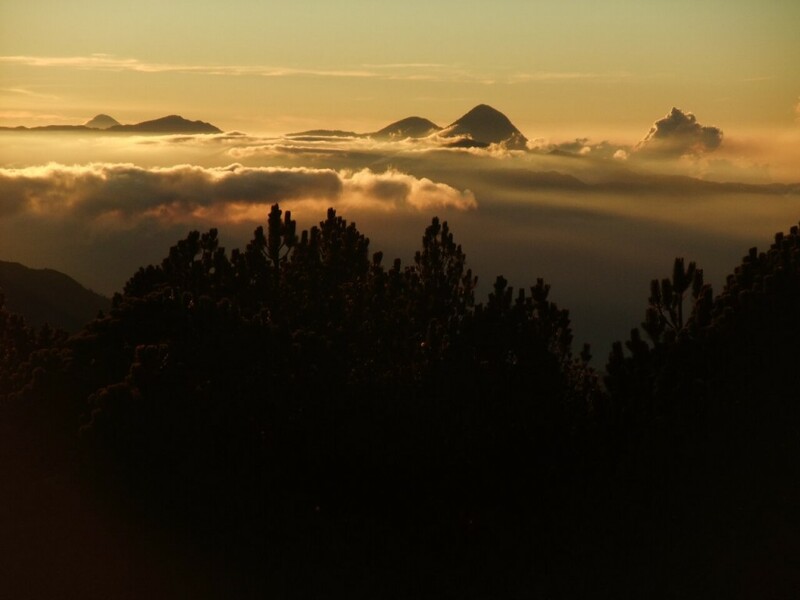 Although Tajumulco can easily be climbed in a single long day by any reasonably active person, there are lots of great places to camp, and a night up high, looking out across the many other volcanoes on the horizon, is definitely worthwhile. 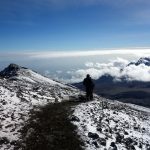 Incredibly the tree line goes right up to 4000m, and we chose a pine grove just 200m below the summit and spent the evening sitting round a camp fire drinking Chilean red wine, Guatemalan rum and a few tins of the local beer, Gallo. From our campsite the summit looked to be a gentle dome of sand and rock punctuated by the odd scrubby bush. It would be a nice easy hike to the top the following morning. It had been cloudy for much of the hike up to our campsite, but when dawn broke at six o’clock the following morning the sky was clear above but hung in a carpet below us, with the tops of several volcanoes we had climbed earlier in the week peeping above. There was a great sunset to the east, and it was a perfect start to a perfect day. One of my walking companions, Doug, was a peak bagger extraordinaire who had about thirty years’ experience on me climbing big mountains. He made one of the first ever commercial ascents of Everest way back in 1992, had climbed the normal Seven Summits, as well as the seven island summits (the highest peak on each of the world’s seven largest islands), and most of the highest mountains in South America. He was a bit of a legend in his home state of California and had climbed all 247 major peaks in the Sierra Nevada Mountains five times. I’d been unable to find a single mountain I’d climbed that he hadn’t, and talked vaguely of racing to the top of Tajumulco ahead of him, so that for a few minutes at least I would be able to say I had. I nearly forgot, though. I was lingering at the back of the group taking photos of the clouds to the east, and it was our guide Nico who pointed out that Doug was getting away. I looked up and saw him scrambling over rocks high above, but I felt confident of catching him if I legged it. I overtook the rest of our party as the slope steepened and there were a few short sections of scrambling that enabled me to take shortcuts. I caught Doug at the crater rim, a twenty metre drop into an extinct crater. The rim was a complete circle, but it was very uneven, and the highest point, presumably the summit, was still a good fifty metres above us. 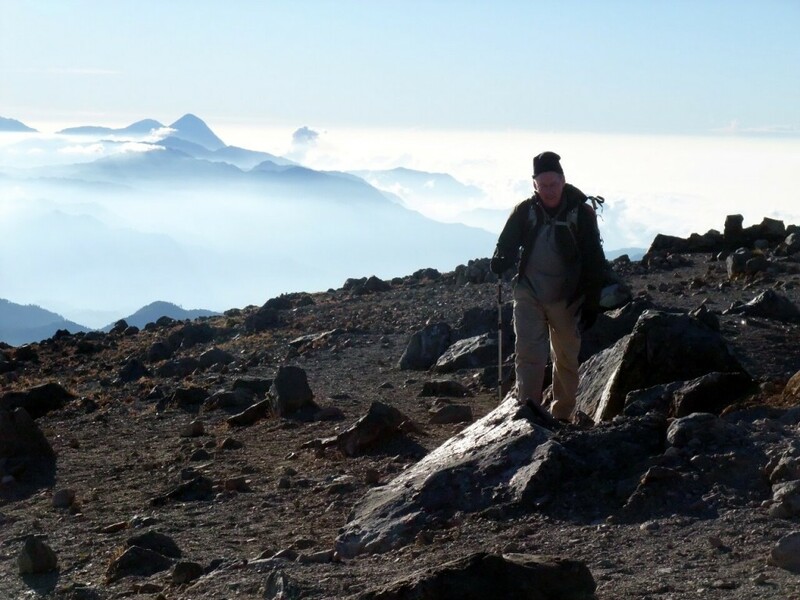 I continued onwards at UK hill walkers’ hiking pace – in other words, I didn’t need to worry about the altitude because we had climbed several volcanoes in the previous week. I was already acclimatised and could treat the remaining scramble to the top as a training session. I soon left him far behind, and even had time to turn and film him climbing up behind me. I was expecting the summit to be a narrow crater rim, but in fact it was a broad plateau of white rock. It was 2nd January, and quite a few Guatemalans had decided to see in the new year from the top of their country’s highest mountain. I don’t think hill walking is a big pastime in Guatemala, as we’d seen very few locals (only tourists) on the other volcanoes we’d been up, but Tajumulco seemed to be an exception. We’d seen loads of people coming down as we ascended the previous day, as many women as men, and here on the summit someone had even erected a tent. There were three summit cairns spaced far apart, and the middle one appeared to be the highest so I headed towards it. The view from the highest point in Central America is magnificent, and I was there at the right time. The sun was rising to the east over all the volcanoes I had climbed in the last week, and I could see them rising up in the far distance through a shimmering sea of cloud, like islands on an ocean of surf. 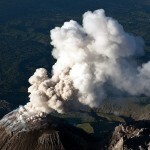 The closest and most prominent peak was Volcán Tacaná on the Mexican border to the west. It was a perfect pyramid seen across a slice of the crater. I’m not good at estimating distances, but I would say the crater itself was about 200m across, and the place where I stood was comfortably the highest part of it. A rough stony plateau dropped away to the north, and many green lower hills could be seen among the clouds. Above and around me the sky was perfectly clear, and the surface of the summit sparkled yellow as the low sun angled its beams across it. I can happily say the highest mountain in Central America is fully worthy of its status. 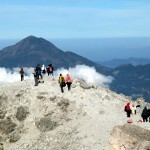 It’s a great summit, and for me it came after a splendid walk and a beautiful forest camp. I was so intent on soaking up the view that I almost forgot I had a duty to perform, and looked up just in time to see Doug approaching across the golden rocks of the summit plateau. I took out my video camera and recorded the evidence that for a few short minutes at least, I stood atop a mountain he hadn’t. We left the summit by a different route involving a scramble down a rocky gully, and there was another magnificent view along the ridge we climbed to our campsite, and the rest of the previous day’s walk. The morning was capped when I returned to camp and found one of our guides Ricardo had cooked up a marvellous breakfast. He piled up my plate with three slices of toast, lashings of scrambled eggs and fried ham. Somebody had tidied away the empties from last night’s binge and relit the fire. I sat down on a log with my plate and mug of coffee, and completed a perfect morning by basking in the warmth of the camp fire and stuffing my face with my magnificent feast. The fine weather lasted all morning, and when we returned to the road head I was able to look back and see the view of Tajumulco we were denied when we arrived in cloud the previous day. I don’t know how many shades of green there are in Ireland, but that small patch of Central America may well have had enough to rival it. Fields, forest, grassy hillsides and scrubby bushes combined to make a verdant picture, and the modest summit dome was only a little more barren. It wasn’t the most imposing mountain from that angle, but I will retain very happy memories of it, and its summit was a real surprise, with a view as fine as any mountain I’ve climbed. I appreciated the run-down convenience store beside the trailhead a lot more on my return visit. There aren’t many high points of a continent where you can walk across the road on the same morning and buy a round of beers. 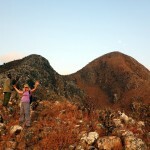 If you’ve been following this blog you’ll know that I enjoy walking every bit as much as I enjoy climbing. You’ve probably heard about the Seven Summits, the highest point on each continent, but how about the Eight Summits? If there’s an eighth then it should be the highest peak in Central America. 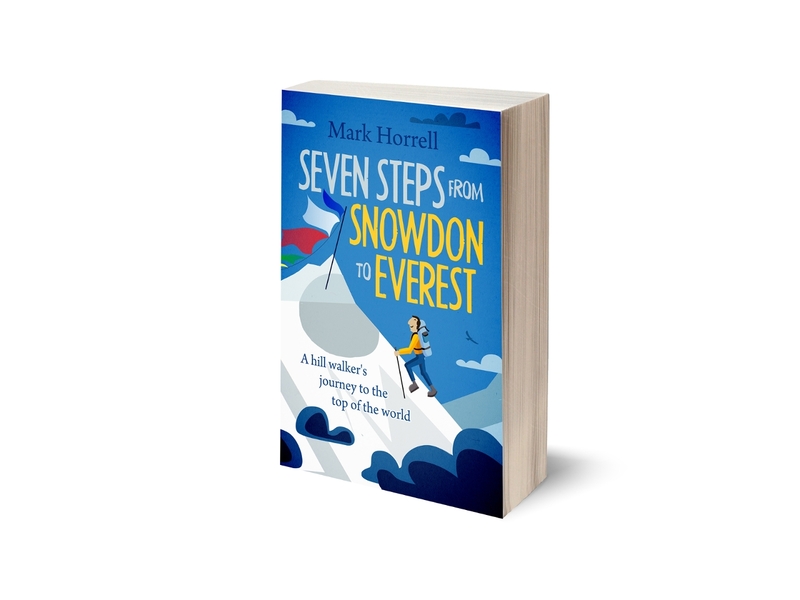 I recommend it, especially if you’re a hill walker. I’ve finished typing up the complete diary of my trip to Guatemala, and it’s now available as an ebook, if you’d like to read more. I summarised the trip in a previous post, and you can also see my photos or watch this little video of the Tajumulco hike. Fabulous! I would love to climb that peak. I don’t have much time. I have had many birthdays.